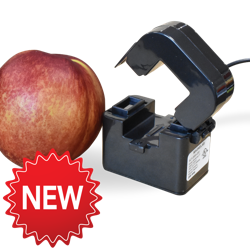 Magnelab’s new UL-Listed SCT-0950-200 split-core sensor measures AC current up to 200 Amps. The SCT-0950-200 meets IEC 61869-2 Class 0.5 and is UL-Listed according to UL 2808. The SCT-0950-200 is compact, performs well and is easy to install around existing conductors.